As the world mourns the death of former President George H.W. Bush, ABC News contributor Cokie Roberts remembered his time as president and what distinguished him from the modern political climate on this week’s Powerhouse Politics podcast. Roberts joined ABC News’ Chief White House Correspondent Jonathan Karl and Political Director Rick Klein to discuss Bush's presidency. 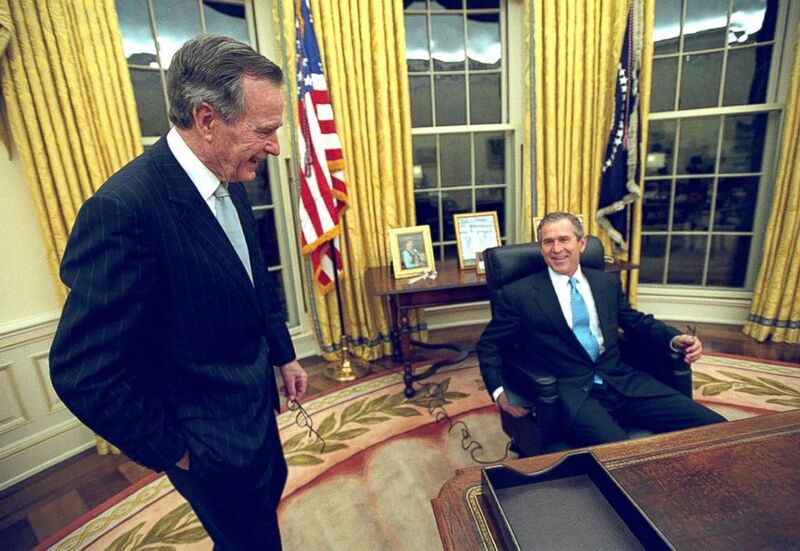 President George W. Bush sits at his desk in the Oval Office for the first time on Inaugural Day, in this Jan. 20, 2001 file photo, as his father, former President George H.W. Bush looks on. Former President George H.W. 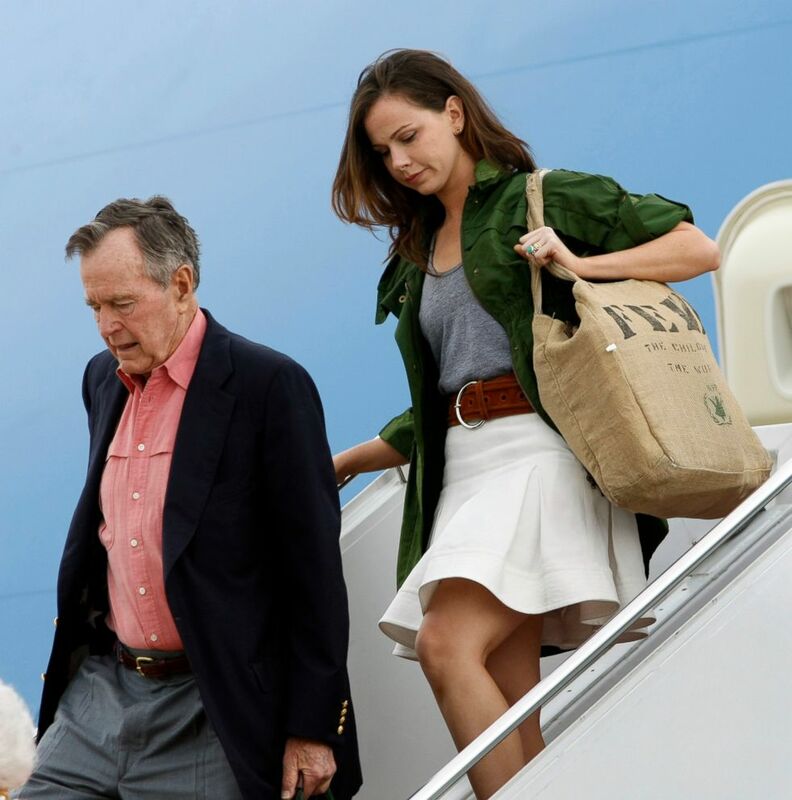 Bush and granddaughter Barbara Bush arrive aboard Air Force One at Andrews Air Force Base Md., May 11, 2008. 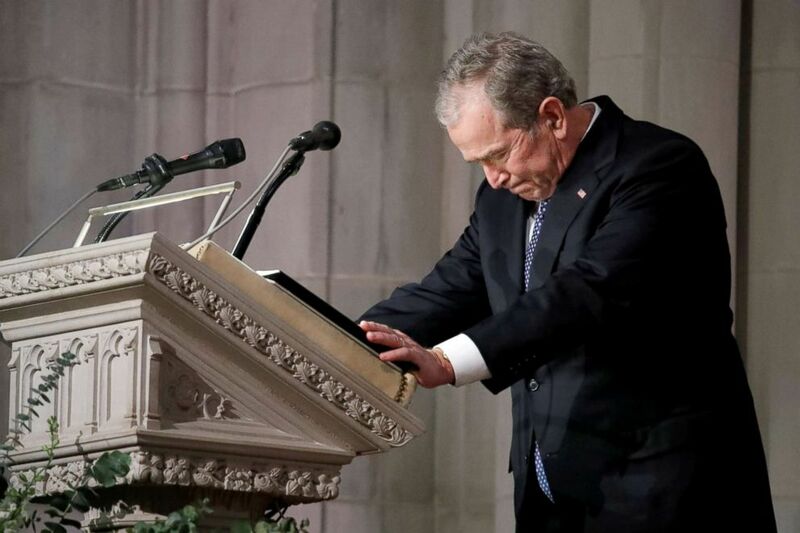 Roberts also said that Bush’s family will continue to carry his devotion to service.